More information on Passionate Prancer in Creatures Guide. Last edited by Rynetory2; 02-16-19 at 09:39 PM. I bred the Passionate Prancer on my second try with Pyro Pony and Obsidian Cyclops. Last edited by deadpixel; 02-09-19 at 08:04 AM. What elements are we supposed to be breeding to get this? My fave doesn?t say? 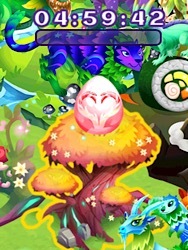 Do you specifically need Earth + Fire to breed it or can you also get it with Valentine + Earth ? 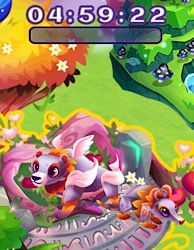 I got it first try with cuddly cub (valentine and earth) and rock rhino (earth). I think I just got it with Glasstodon and Magmacore! Dang I've been getting some pretty good breeding luck! It's like S8 is trying to make sure they keep me here! Just got it on my first attempt with the combo Pawberry Bear and Rock Rhino.